Not everyone starts their career with a debut album – released in 1988 – produced in collaboration with music industry heavyweights: ‘Mutt’ Lange and John Parr. Indeed, it was only a matter of time before Romeo’s Daughter hit the headlines! Hot on the heels of its success, their whirlwind tour of the US saw their single, ‘Don’t Break My Heart’ shoot up the US Billboard Hot 100 Singles Chart. 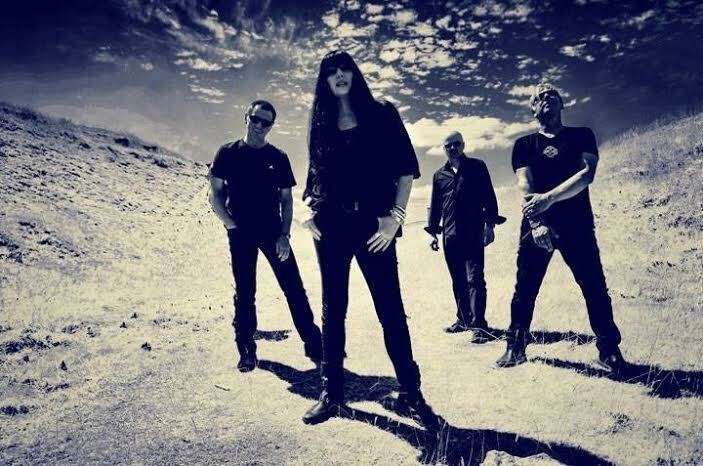 Their dynamic and distinctive sound, described as brimming with “poise, pathos, memorable melodic hooks and inventive arrangements” has been consistently, and uniquely delivered over the years by: Leigh Matty (vocalist); Craig Joiner (guitarist, songwriter and producer); Ed Poole (bass player and co-producer); and Andy Wells (drums). With this line-up, Romeo’s Daughter has a pedigree, second to none; with each member having worked with the likes of: Whitney Houston, Tom Jones, Meatloaf, Jane Wiedlin, Bonnie Tyler, Roxette and John Parr. Over the years, their infectious music: brimming with power, passion and sophistication – and fronted by Leigh Matty: recently voted in the top 5 ‘Lady Rock Singers of all time’ – has attracted the highest calibre of established artists; with Heart covering their single: ‘Wild Child’ on their 3 million sell-out album, ‘Brigade’ – achieving No. 2 on the Billboard Rock All Play chart; as well as Eddie Money, Bonnie Tyler, and the recently reformed Steps! ‘Heaven in the Backseat’ – also from their debut album – also featured as the opening track of the 1990 film: ‘Nightmare on Elm Street 5’. Romeo’s Daughter initially started with Craig Joiner (guitar and vocals), Tony Mitman (keyboards), and Paul King (drums), before Leigh Matty joined them after responding to an advert in Melody Maker. Signing to Jive Records in 1987, with a line up now of Leigh, Craig and Tony, Robert John "Mutt" Lange heard one of the band's tracks, "Stay with Me Tonight" and agreed to produce six tracks on the band's first album with the remainder being produced by John Parr, resulting in the self-titled debut album being released in 1988. The band was then completed with the addition of Ed Poole on bass and Andy Wells on drums. ‘Delectable’ the second studio album was released in 1993 on Music for Nations and was much more like a live album in its feel. It was produced and recorded by the band and Andy Reilly, and was later mixed by Steve Brown (The Cult, Manic Street Preachers and Wham). Again another critically acclaimed album; Delectable is considered one of the most revered albums of the time. After Delectable the band took the decision to split to pursue their own individual projects. 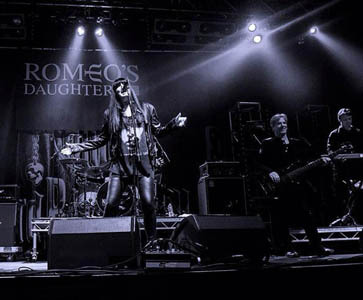 With a fan base that never gave up on the band, Romeo’s Daughter were tempted to reform for what was originally going to be one off performance at the Firefest festival in 2009. Encouraged by the rapturous reception they received, the band decided to continue their journey where they left off in the 1990s. 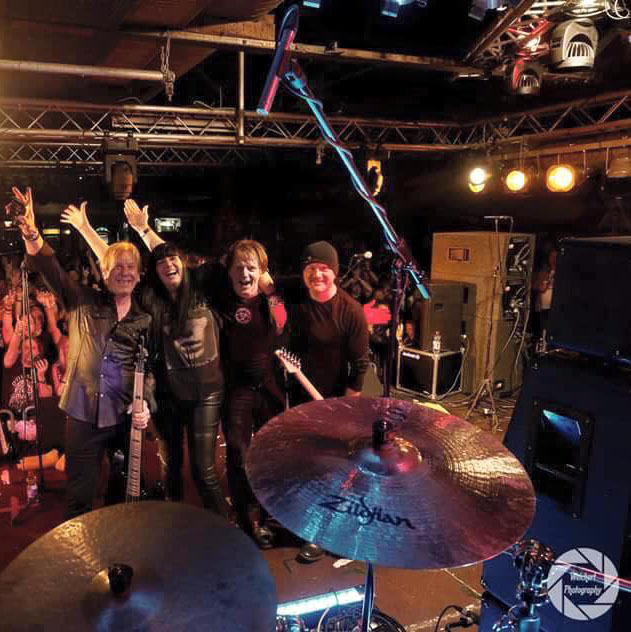 They continue to tour, consistently performing to sell out audiences at such events as HRHAOR and Cropredy in the UK, HEAT festival in Germany, whilst performing their own shows at venues across the UK and Europe. “Rapture” their self-produced third album was released in 2012 to worldwide praise for its astounding song writing, performance and production, with the first single from the album, 'Bittersweet', making it to Classic Rock Magazine’s 'Top songs of 2012' chart. During 2012,Tony, the band’s keyboard player decided that living in Cornwall was making it too difficult to commit to the band and he reluctantly left.